68 pages | 10 B/W Illus. This book analyzes and elucidates the view that the purpose of the liberal arts is to offer leadership training and guidelines for success. This professional or managerial tradition of the liberal arts is discussed historically, revisiting three central claims purported by the Ancients to make the point that management and the liberal arts are connected and build off each other to provide a framework for leadership in both domains. 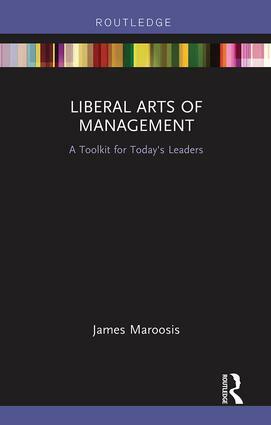 This book will appeal to researchers in leadership studies, management, and the liberal arts. James Maroosis is a recipient of The Innovations Award in American Government,co-sponsored by The Ford Foundation and The JFK School of Government at Harvard University. He taught leadership seminars at Fordham’s Graduate School of Business for 15 years and has a PhD in Philosophy from the University of Toronto.